Hi Everyone! My name is Anne @anneboundy on IG and my business name is Said With Love www.saidwithlove.com.au . 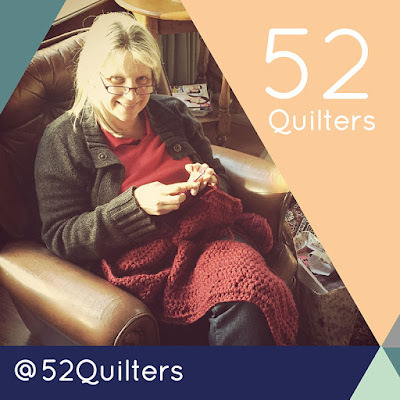 So happy to be a part of 52Quilters – I have been loving discovering amazing quilters from around the world. I have been making the odd baby quilt since the 90’s but they were very basic quilts. I only become addicted to quilting since we moved to country Victoria, Australia about 3 years ago and I now have my own craft room. It has SPACE!! Space for my every increasing fabric stash, space for my brand spanking new machine (Janome Horizon), space for cutting and space to create! I love looking at everyone’s sewing spaces – would love you to tag me on a pic of yours! I am working on making a quilt for every one of my family members… I want them all to have a handmade-with-love piece of me… not that I am planning on going anywhere… but if I don’t start now there are a LOT of family to make for and time does keep marching along. 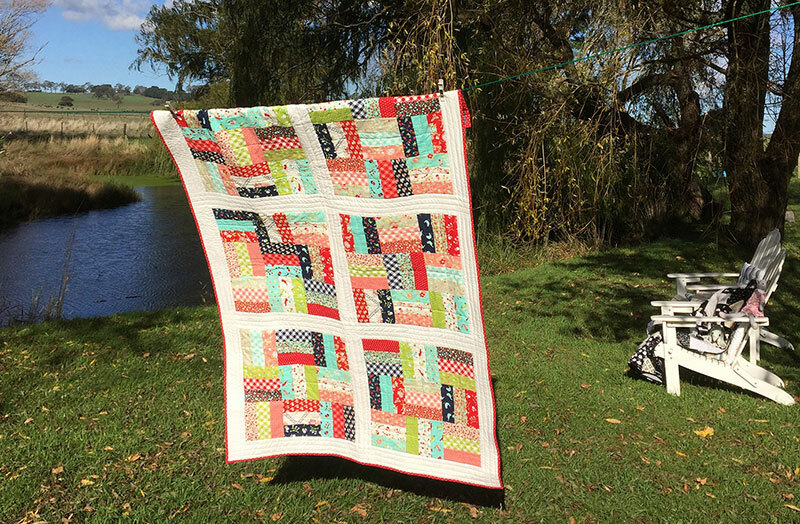 I love making quilts… from the thinking of a pattern (I have developed a few of my own), from buying and selecting fabric (hmmm.. this might be my FAVOURITE part! ), cutting, sewing and quilting. I even love binding (I do it by hand) as this is when I think about the person the quilt is for and put lots of love and good wishes into the quilt. I have given away most of my quilts over the years, however in 2016 I have finally managed to make and keep a couple of my quilts! 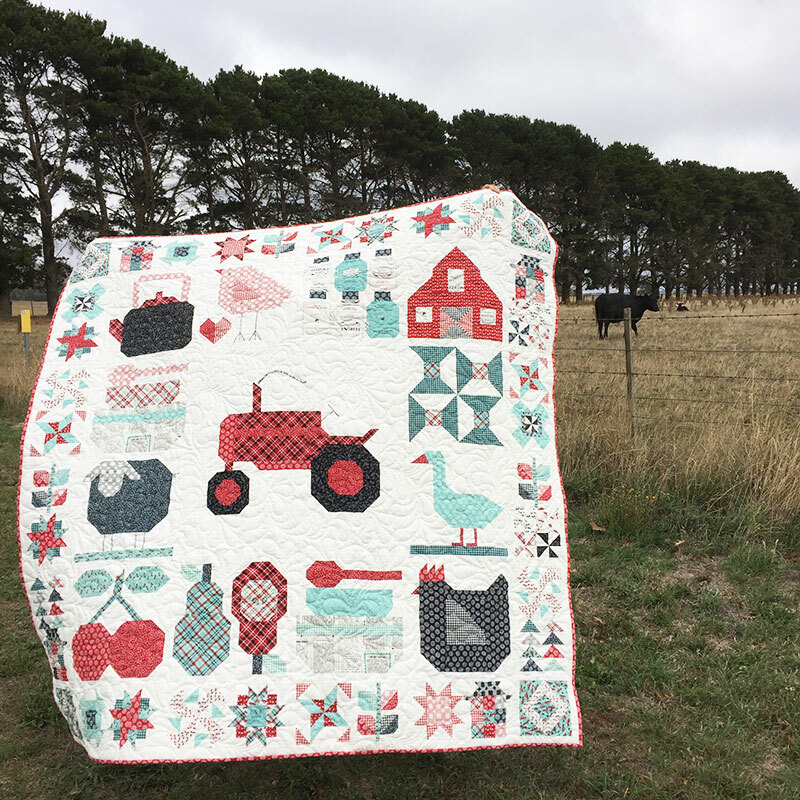 My Farm Girl Vintage quilt (made as part of the Lori Holt sew-along) is my current favourite. It gets pride of place on our bed. My website is also my online shop and blog www.saidwithlove.com.au – I love blogging as it means I can explain more about my makes and put in sooo many more pictures J My IG friends would get sick of me posting otherwise! I am also on ello @saidwithlove - I really enjoy Ello's layout, though the community is still not quite there yet. Lovely post Anne & I am so envious of your craft room!!! Thanks Fiona! I adore my craft room.... hard to get me out of it actually!